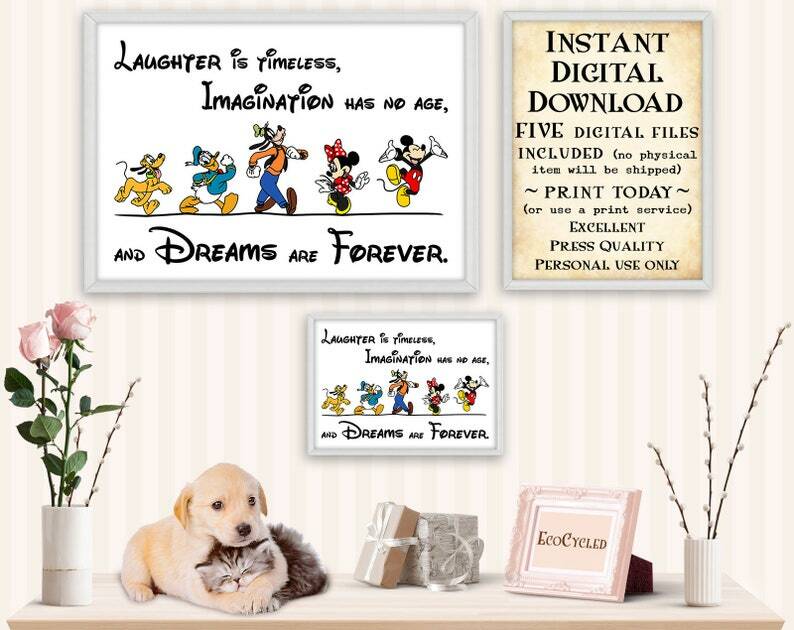 "Laughter is timeless, Imagination has no age, and Dreams are Forever." ~ Walt Disney. With Mickey Mouse and Minnie Mouse walking with their friends, Goofy, Donald Duck, and Pluto. Perfect as a gift for a best friend who is a Disney lover. A minimalist gift that you can download and print right now.